I believe in the power of essential oils. I grew up in a home where grandma would use lots of plant based products to heal us from well..(pretty much everything). Being a modern mama with a pinch of crunchy I wanted to start using essential oils for my girls. I have been searching high and low for some kid safe essential oils for a while, I was so excited when I came across the company Oilogic. These oils were exactly what I was in the market for. 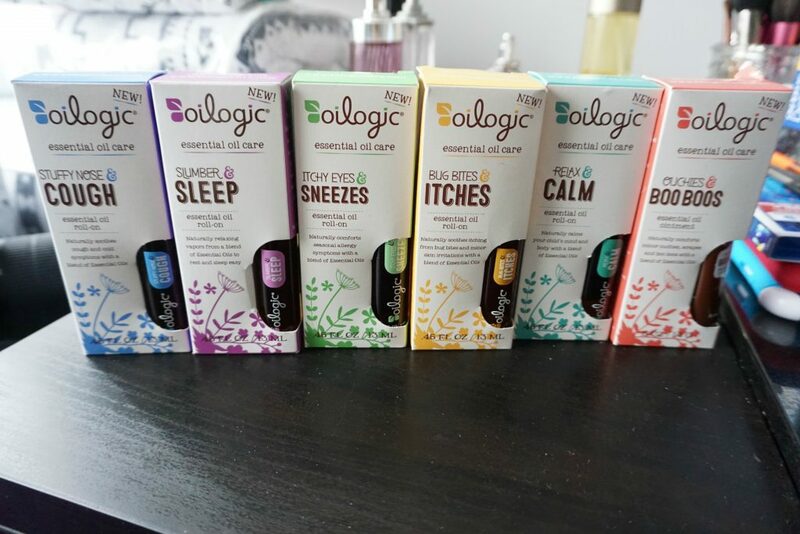 Oilogic Essential Oil Roll-Ons, were developed by two moms with first-hand experience. Just a few rolls in strategic spots provide maximum comfort and care for bug bites,colds,allergy symptoms, anxiety and minor ouchies. These Oil Roll-Ons are pre-mixed and pre-diluted, 100% pure essential oil blended and designed safely and naturally for your child’s needs. Each product is made with 100% Pure Essential Oils and is free from petroleum, phthalates, parabens, sulfates, gluten, dea, dyes, mineral oil, artificial colors, and synthetic perfumes so no worries here. We use essential oils in our daily routine to soothe our children, we simply roll on a generous amount of Oilogic Essential Oil Roll-Ons to our kids back of the neck,chest and bottom of feet, allowing them to breathe in the calming vapor and letting the oils take effect. Bug bites and Boo Boo ointment can be applied directly to the affected areas. Stuffy Nose & Cough and Cough & Cough Essential Oil Vapor Bath are a must have during the winter season. Annalee just got over the flu and the roll-on was a must have in our medicine caddy. We also loved giving her a warm bath with the vapor blend wash. These two together really work amazing for those little stuffy noses.$7.99- $9.99 Each. Available at Target.com, selected Target stores, Buy buy Baby, and Meijer. **We received Oilogic products at no cost in exchange for an honest review. I only recommend products that I believe in. All opinions are 100% my own.